The Pure Storage story has been one of pride and patience. The Pure Storage logo, that I designed, is one that I have been particularly proud of, but have not been able to fully exhibit it due to Pure Storage being in stealth mode. 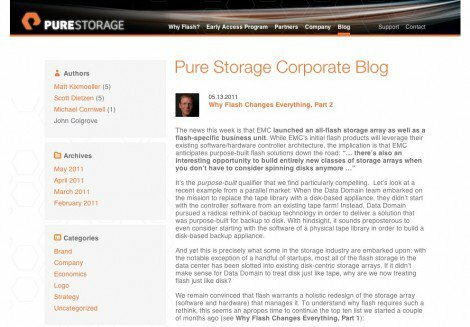 A brief summary of the Pure Storage logo project, posted back in August 2010. 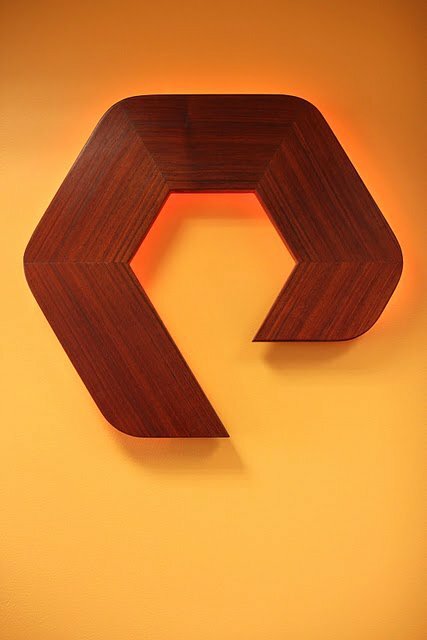 Only now am I able to show further images of the logo and identity in context and I am really bloody excited to see what the guys at Pure Storage have done in visualising the logo on external physical objects. The illuminated sign above is just super cool. 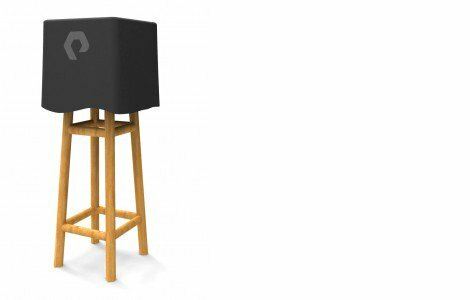 It has been carved from solid wood, varnished and then illuminated from behind. This acts as welcoming sign for all visitors and employees of the company. 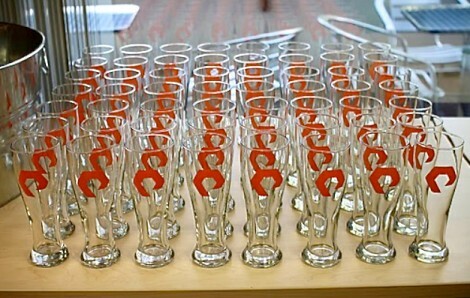 Even the beer glasses have quite a presence about them. There are a few photos I would love to show you of the logo mark on the hardware but I have to be a little bit more patient before doing so. Although the web site is live and news of Pure Storage can be found in the NY Times; the official launch of the company and it’s product line has yet to be announced. Really very excited to see how Pure Storage evolves. In the meantime here are a few more images of the logo. Just an idea of how well the logo mark stands out as a regular Twitter profile image. As mentioned above there will be a detailed logo process post to coincide with the official launch.